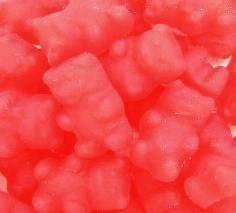 Sweet and slightly hot, these chewy little bears are bursting with cinnamon flavor. One bite and you'll know why these cinnamon bears are one of our best sellers. The cinnamon flavor is the right balance of sweet and spicy, and the chewy gummy texture makes them fun to eat!